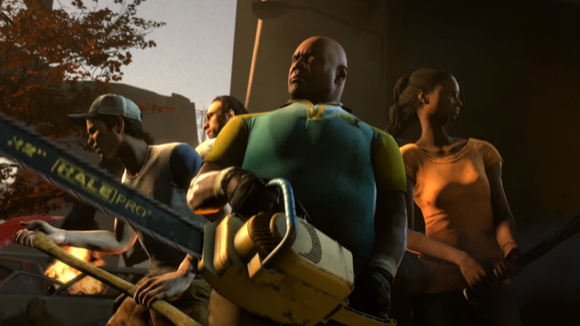 It's been known for sometime that Left 4 Dead 2's biggest and baddest new feature will be the inclusion of melee weapons. We've heard numbers tossed around as to just how many - but now we know for sure and now we know exactly what. Joystiq managed to scoop it from Valve during this year's PAX 2009 and we'll be seeing 10 weapons in total. As you may have read from our hands on preview - we liked the Katana and the Guitar very much. I have visions have a full band of guitar wielding survivors smashing the heads off the zombie horde. Page created in 0.2568 seconds.